KEONJHAR: A youth was critically injured on Monday after he was shot with an arrow during a group clash at Nahagaon under Harichandanpur block in Odisha’s Keonjhar district. The injured, identified as Trilochan Barik, was first admitted to Harichandanpur hospital and later shifted to SCB Medical College and Hospital as his condition deteriorated. According to reports, the clash erupted over a road work in the village. Reports said the village Palli Sabha had awarded the road work to a group of ruling BJD supporter four months back. Since the model code of conduct came into force following the announcement of rural poll dates, the work could not be executed. In the rural polls, an independent candidate won as Sarapanch. The Sarapanch did not want the work to be executed by the BJD supporters. On Monday morning, when the BJD supporters came to execute the work, followers of newly elected Sarpanch oppos-ed them. This ensued in a scuffle leading to each side attacking the other with sharp wea-pons and arrows. 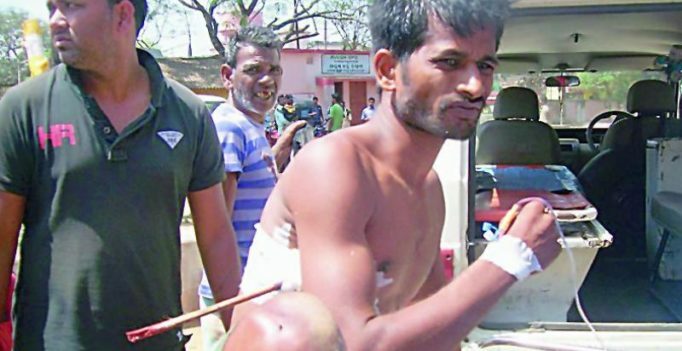 Trilochan, a BJD supporter, was critically injured when he was hit by the arrow by a person belonging to the rival party. No one was arrested till the evening. Two others — Ganga-dhar Mahakud and Niranjan Mahakud — who sustained cr-itical injuries were also rushed to the SCB Medical College.